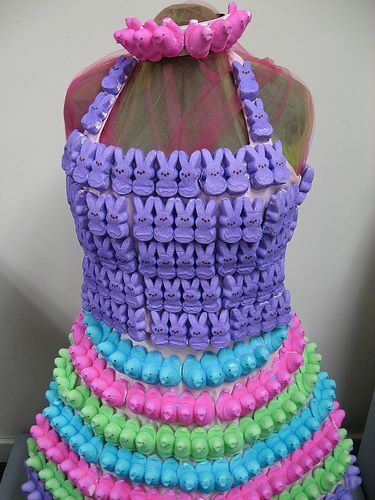 An Easter dress made entirely of candy peeps! Pretty cool! This entry was posted in Crafts ~ DIY ~ Projects, ~Clothes, ~Easter, ~Edible and tagged bunnies, bunny, chick.chicks, chicken, chickens, coulture, dress, easter, fashion, peep, peeps, ~Spring. Bookmark the permalink.